Do you have a pile of unused stuff in your basement? In your closets? In your garage? Are your drawers overflowing with items you no longer use or need? It’s a great way to clean out your house and garage, plus make a little extra money at the same time. My friend and I just had our 3rd annual garage sale, which we hold every spring. It’s one of our favorite things to do, and after a few years, we’ve definitely learned a few things–several the hard way. Okay, so it will take a little work, but don’t be scared! It really can be a fun and profitable way to get organized. Since this is the height of garage sale season, I thought I would pass on my list of garage sale tips! It’s so much more fun to do with a friend! You’ll not only have more things to sell (since you may not have enough all on your own), but you’ll have someone to share set-up, clean up, and have someone to chat with the whole time! It’s also nice to have two people logistics-wise, talking to people, selling, bagging, etc. You are familiar with the term “location, location, location”, and a garage sale is no different. If you’re doing it with a friend, choose to do it at the home that makes the most sense regarding traffic and proximity. I live out in the country, and my friend lives in the city, so we always do it at her house. Before you set the date for your sale, check into any major community events or happenings. Small things won’t matter much, but if there is large event going on, it can potentially pull a lot of traffic from your sale. Does your town have a citywide garage sale? If so, I recommend that you avoid having yours be a part of it. We learned this the hard way—too many garage sales, not enough people to go around. Getting the word around about your sale is key to success. First of all, let all your friends and family know about it ahead of time via e-mail. Give them a time to come early–we do it the night we’re setting up–to come and get first pick. If they each tell one other person, it gets the ball rolling. Make sure you advertise in your local paper–it is worth the $20 or so dollars they will charge you for the 2-3 days they run the ad. 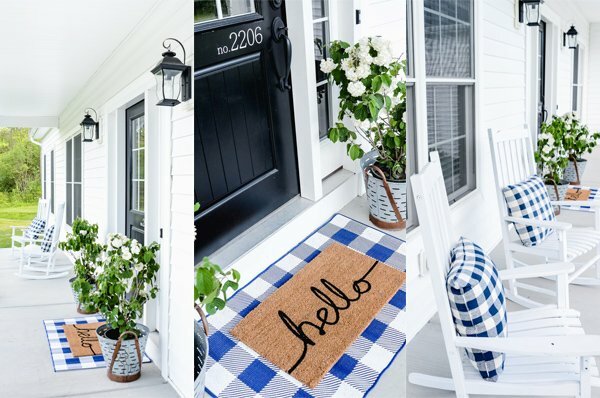 Usually you get only a couple of lines, so decide ahead of time the most important things you want to highlight–typically large items or the type of things you’re selling. On the days of the sale, be sure to have signs at the major intersection near your home, and at the corner of your street. This will bring in those that are just in the neighborhood, and want to stop in to see what you have. I think pricing can be one of the hardest aspects of the sale. Not too high, not too low. Take into consideration how new the items are, what condition they’re in, if all the parts are included, if it works, brand name (if people will be willing to pay more, and then consider what you would be willing to pay for that same item. This is another time it’s helpful to have someone else with you–to suggest prices, and gauge different price levels. Be ready to negotiate, and decide the lowest price you’ll take for large items. You may have items that aren’t right for a garage sale–if they’re really nice, or if there is a certain price you’d like. If so, you may want to consider craigslist instead, or even ebay. Because there were two of us, we needed an easy way to distinguish whose items belonged to who. We used the colored dot labels, and each chose a color. We priced items using the dots, and could easily determine whose it was. We kept a piece of paper that was divided into columns, and each time we made a sale, we wrote how much each person earned in that column. I usually have a lot of baby/kid clothes to sell, and I don’t want to have to price them each individually. To save time, I type up a sheet that lists my prices–for shirts, dresses, jeans, coats, etc. I then tape it to the table where it’s clear to see. Organization is really going to be one of the major keys to your success. You’ll need lots of tables, so gather those ahead of time if necessary. Think about how you’re going to display clothes–hanging them up, folding them on tables, etc., and have hangers ready if need be. Gather plastic grocery sacks to put customers’ purchases in. Go the bank for change–we did $100, with a few 20’s and 10’s, a couple more 5’s, lots of 1’s, and a roll of quarters. We keep our money in change purses with long straps that hung around our necks, so our hands are free, and we don’t have to worry about leaving money on a table or always having to watch it. Layout the tables in sections–toys, baby items, baby clothes, adult clothes, home decor, household, etc. It will be easier for people to shop if there is a plan to the way it’s set up, whether they realize it or not! Have items clearly marked, whether individually or with a sign. Place large items toward the front, to draw people in. Make sure the aisles are clear enough for people to get through, and that the general look is neat, organized, and clean. 7. Have a lemonade stand! Between the two of us, we have 4 darling little girls, and they were so excited about doing a lemonade stand. We made cookies, and packaged them 2 to a bag, and had a huge container of lemonade. We charged 25 cents for lemonade, and 50 cents for cookies. They made a killing! They loved doing it, and it was a fun way for them to earn a little money too. Good luck! Happy garage sale-ing! 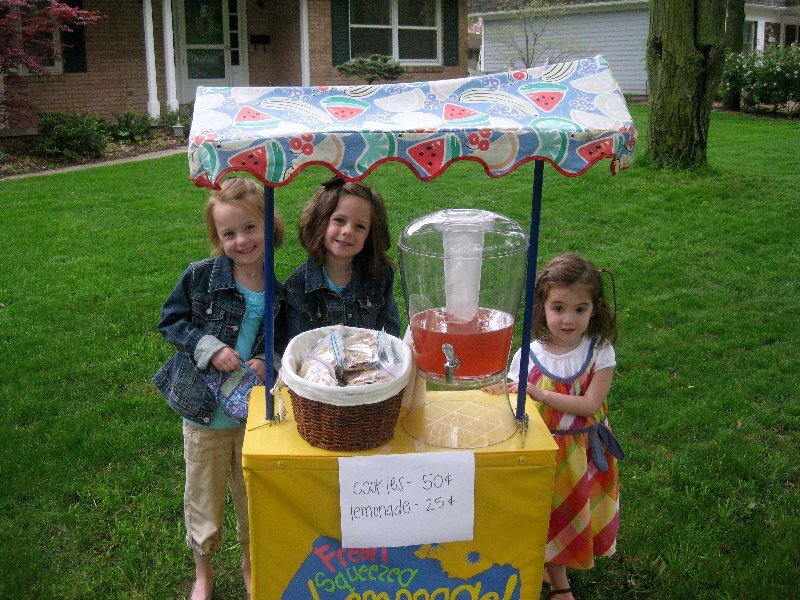 I always wondered if the lemonade stand did well at garage sales. My little ones are a bit TOO little right now, though. Thanks for the tips. It's nice to have them all in one place because even if you tend to know, it's easy to forget in the moment. I love the idea about the money purse. I've never had it happen to us, but I know people who've had their cash box stolen. Thanks for the post! Aww, your girls are so cute! And, great advice – 1 tip I would add: make sure to check that none of the items you're selling have been recalled b/c it's illegal to sell recalled items & of course you wouldn't want to pass on unsafe items. A tool I've worked on, Simply Check (http://wemakeitsafer.com/SimplyCheck), can help you check for recalls & let your buyers know you've checked. Hope you and your readers find it helpful!